March 20th, 2018. In episode 23 of the Weekly Bites Z stream series, Cardfight!! 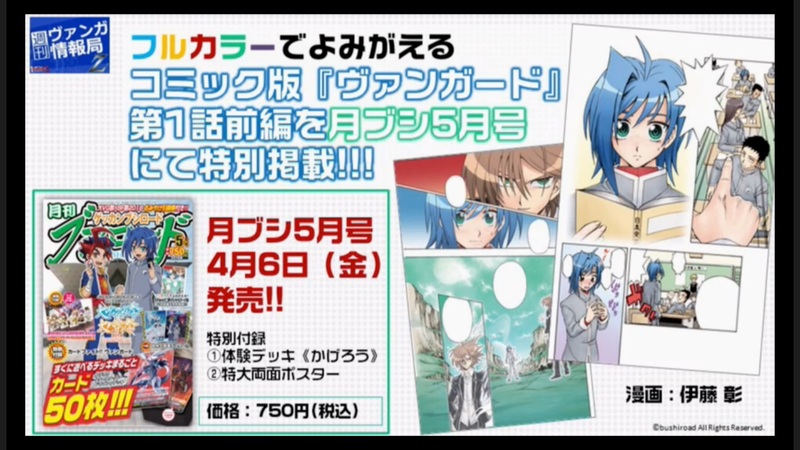 Vanguard representative Doctor O announced that the May issue of Monthly Bushiroad magazine will rerelease the first chapter of the original Cardfight!! Vanguard manga by Itou Akira in full color. The publication will coincide with the airing of the Vanguard reboot series, which itself more closely follows the manga. As the manga ran in KeroKero Ace from 2011 to 2013, this is the first time this chapter will be run in Monthly Bushiroad. Itou himself is doing the color work, much as he did for the manga's set of LINE messenger stamps. This issue will cover approximately the first half of chapter 1, comprising 48 pages. It's currently unclear if the color edition will proceed into the June issue. 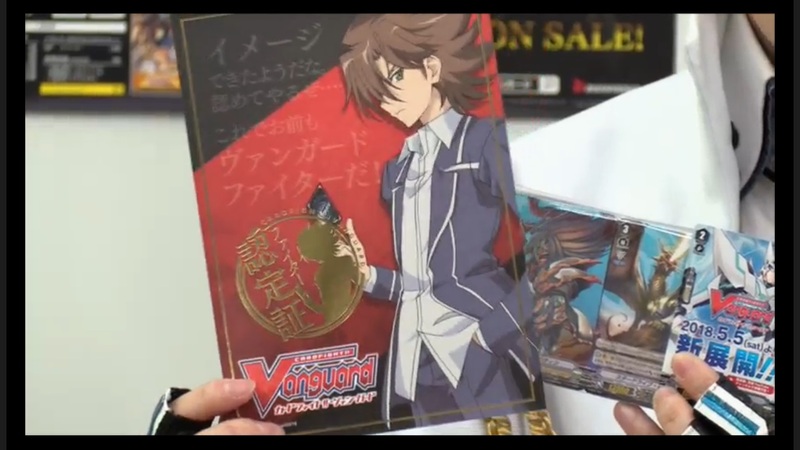 In related news, a series of Cardfight!! Vanguard short novels acting as excerpts from the card game's lore are being compiled in a standalone tankōbon format. 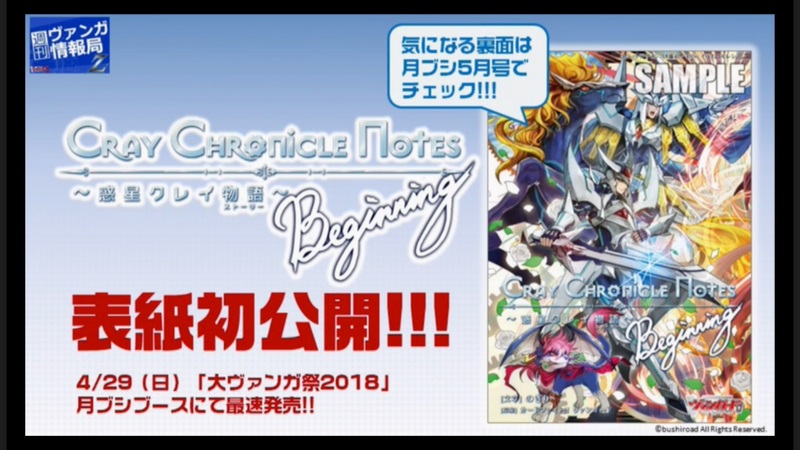 Cray Chronicle Notes: Beginning will be available for purchase at the Monthly Bushiroad booth as part of the 2018 Great Vanguard Festival on April 29th. More information will be found in the May issue of Monthly Bushiroad. Doctor O also announced that Bushiroad will be hosting a booth from March 24th~25th at AnimeJapan 2018 in the Tokyo Big Sight building. They will be doing a demo session of the new Standard-format game using cards from the Crested Dragon Start Deck, and will be giving out copies of the deck to participants. Although currently only the Stardrive deck has been distributed to the participating venues as part of the March-June demo caravan for Standard format, the Crested deck will also be distributed beginning April 7th. 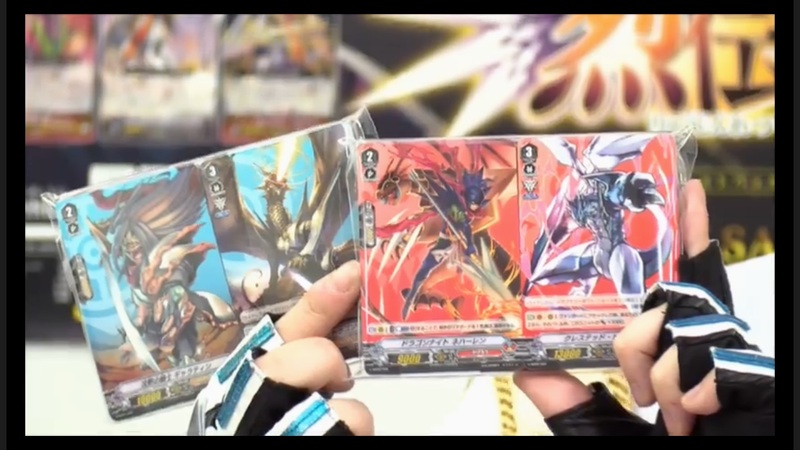 It contains three copies of Dragon Knight Nehalem, who has been redesigned into unit that retires the opponent's cards rather than as a vanilla. 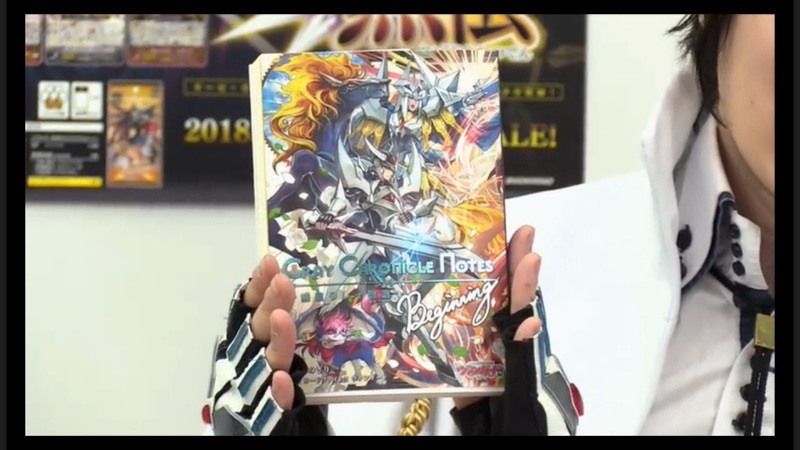 A special edition version of the card with alternate artwork pulled from its original incarnation will be available in Monthly Bushiroad magazine, where it will be distributed as part of a Kagerou deck. More than 3,000 people have already participated in the spring caravan demos in the four days since they began. 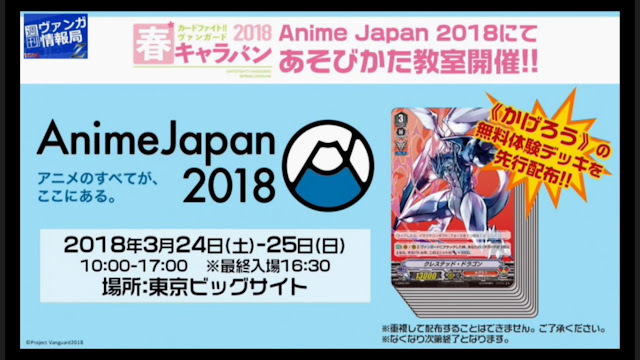 Those that attend receive a free Stardrive deck with alternate versions of upcoming cards, and a promotional Blaster Blade exclusive to the event. All of these cards will be legal in the Standard game. Doctor O also showed off the certificate fighters get for completing the demo workshop, which features art of the rebooted Kai Toshiki from the new series. The quotation on the certificate reads "So you were able to picture it. Let's begin...Now you too, are a Vanguard Fighter!" The next episode of Weekly Bites will be air Tuesday March 27th, at 9:00 PM JST on NicoNico Live and YouTube Live. The previous special episode featured 20 questions from fans answered by Doctor O, Vanguard executive producer Shimamura Masatoshi, and original concept creator Itou Akira.